The Naira, on Wednesday, lost one kobo to exchange at N358.4, weaker than N358.3 traded on Tuesday at the parallel market in Lagos. The Pound Sterling and the Euro traded at N484 and N414. At the Bureau De Change (BDC) window, the Naira closed at N360 to the dollar, while the Pound Sterling and the Euro traded at N484 and N414. Trading at the investors’ window saw the Naira close at N362.08, while it exchanged at N306 at the CBN window. 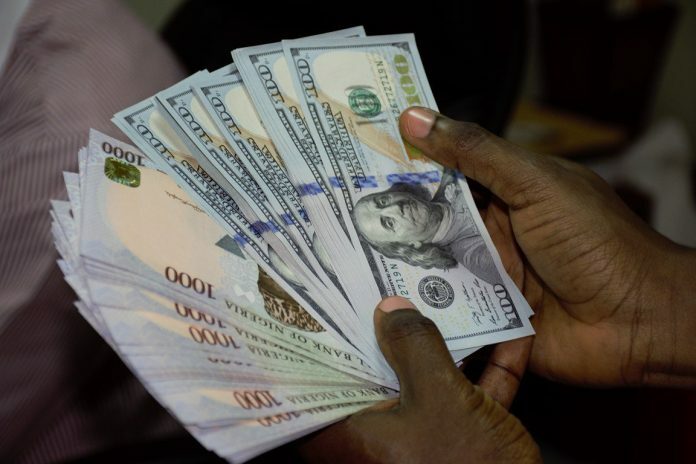 Traders noted that the intervention of the CBN at the foreign exchange market had sustained the stability of the Naira. Since the CBN started aggressive intervention at the nation’s foreign exchange market, the manufacturing sector witnessed huge expansion as shown by the Purchasing Managers Index (PMI). Data from the CBN showed that the PMI for July increased to 56.8 index points, indicating expansion in the manufacturing sector for the 16th consecutive month.